Samsung Galaxy Note 9 will be released next week, but we have already launched its wallet phone case in advance, and take a look at what we think is the best Samsung Galaxy Note 9 wallet case. 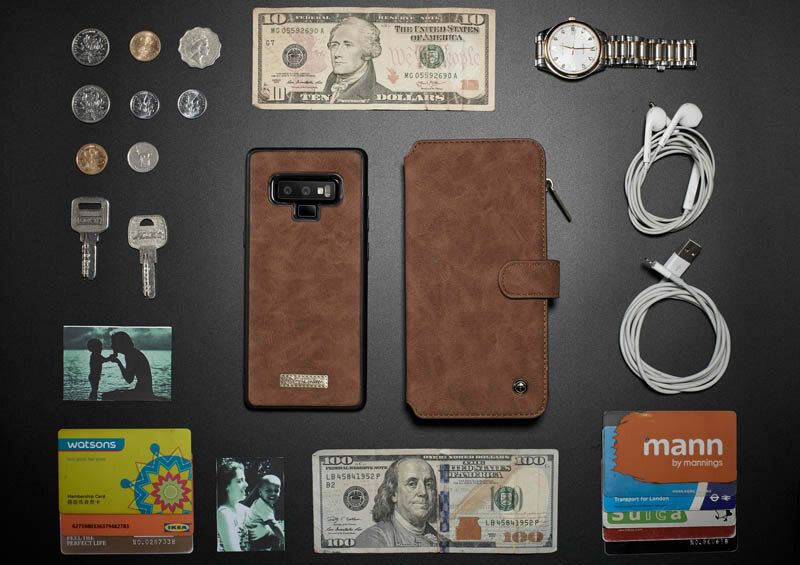 CaseMe, although not as luxurious as the name, the Samsung Galaxy Note 9 wallet case is impressive because of its low cost. It uses PU leather instead of real leather, but it still looks very fashionable. As a protective case, it provides full protection for every side of Note 9, including the screen. It also has 11 credit card slots and 2 cash slots, and can even be folded into a stand for hands-free movie viewing. The biggest bright spot is that it can be used separately. When you don’t want to use the wallet, you can take out the magnetic back case and use it alone. When you cook, you can also put the magnetic case in the refrigerator or kitchen without worrying about getting it. Detachable magnetic case is very convenient.